Yes, it is true. Now, he only abandoned me for the evening. He grabbed my hand on the way out and took me back to our hotel room. But the craps table, she is a wicked lady and he couldn’t resist her charms. 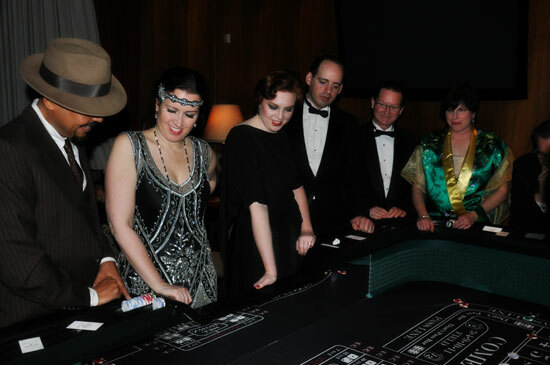 This past Saturday marked the second Casino Moderne, sponsored by the Art Deco Society of Los Angeles. 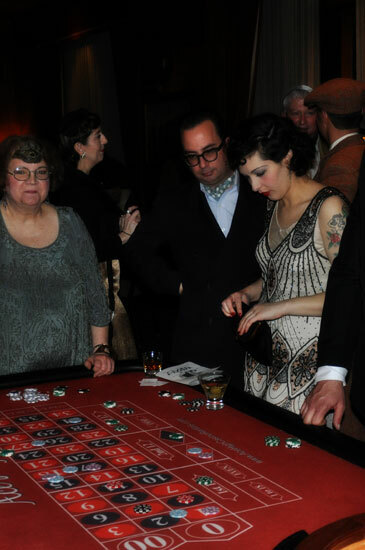 A 20’s-era soiree with legal gaming, cocktails, and swinging music made for a stellar eve. Fortunately, in spite of my tragic abandonment, there were plenty of friends to chat the night away with. 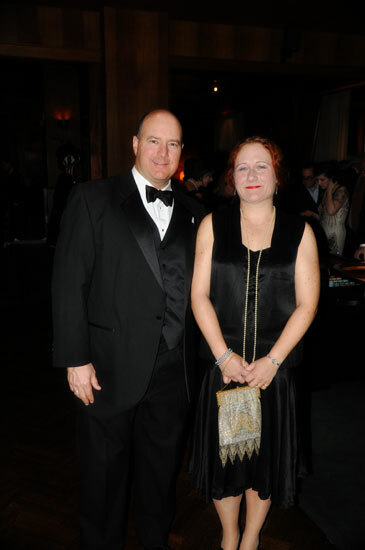 My usual partner in crime Lily was there with her husband, Brian. 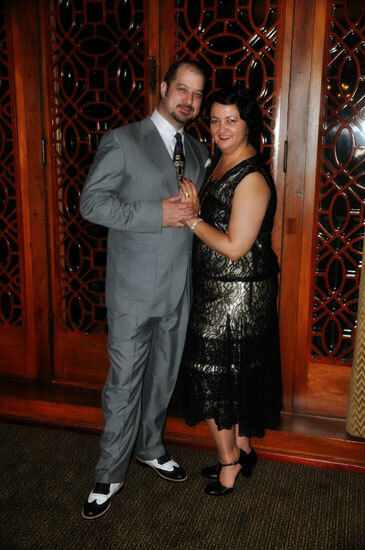 My dress was one I made based on one I spied on Etsy that was far too small for me. I’ll tell you about it in another post. 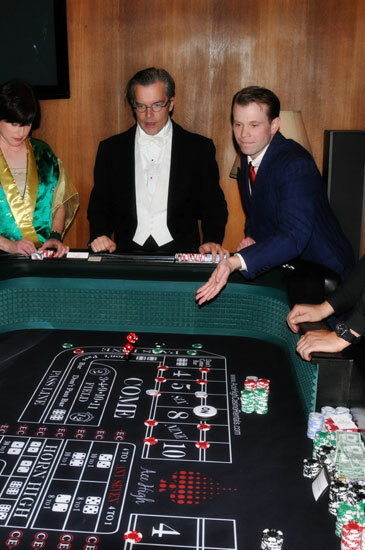 The craps tables were hot. Love the mid-air throw of the dice. 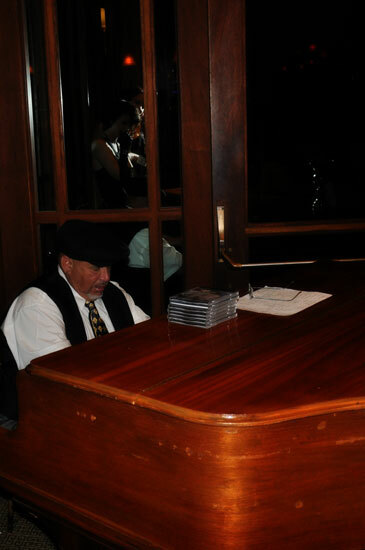 This amazing piano player entertained us all night long. He played stellar jazz. 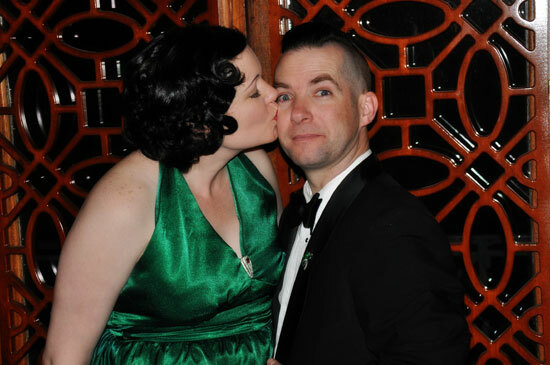 but I took pity on Husband and gave him my deco dollars so he could play more craps. 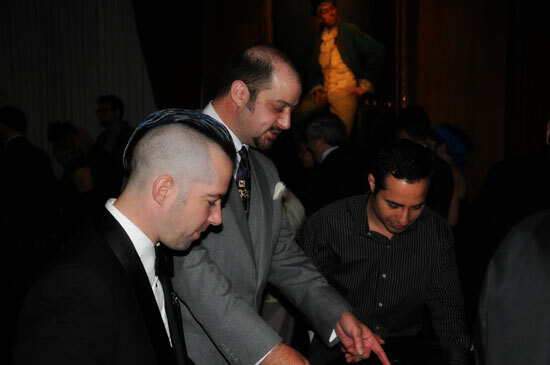 Husband in his element, coaching those around him on the fine points of craps. As Husband and I were staying at the Athletic Club that night in one of their hotel rooms, it was also an easy way to drink all we wanted and then just fall in to bed. 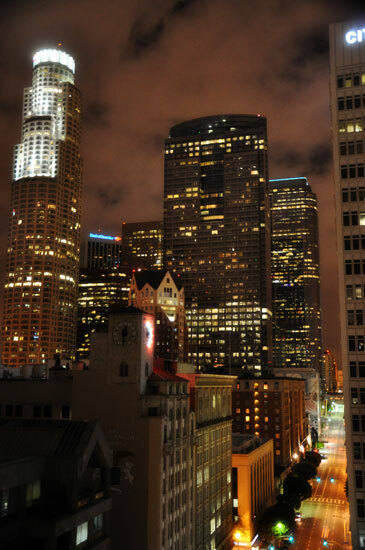 But not before we went up to the rooftop and took lovely pictures of the Los Angeles skyline by night. Already looking forward to next year’s festivities. How fun! 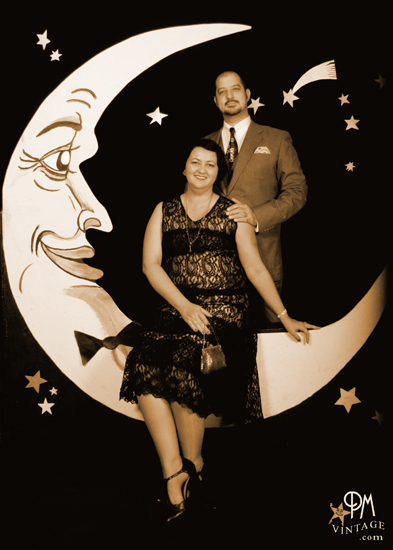 We were at the Air Raid, I do hope they fall on different days next year because I'd love to go to the Art Deco fundraiser. Ah, what a gas that night was! I am already on the look out for a suitable pattern for next year. Nice blog,It is very interesting.Thanks for sharing.